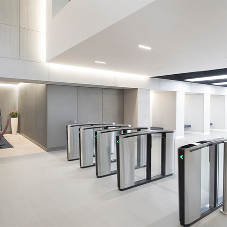 DePuy Synthes required an entrance refurbishment, and chose Boon Edam to provide a future proof product customised to the buildings requirements. The refurbishment project to the 1970’s site in Leeds, had the aim of modernising the look of the building’s reception area, whilst providing enhanced security. 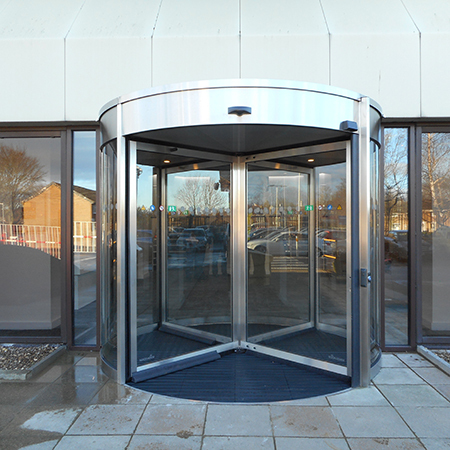 Boon Edam installed their full automatic Tourniket Revolving Door, with a security system and collapsible doorset. The Tourlock 360N security function has an electromagnetic lock which is engaged when the door is parked. Once activated, overhead anti-entrapment sensors scan the door compartments for the presence of a user and stop in the rest position upon the user’s exit, engaging the electric locks. The collapsible leaves were added to the door specification as there is no pass door. Therefore, the Tourniket can be manually folded to increase the width, should it be required for large deliveries, disabled access or to allow for a high capacity throughput in the event of an emergency. 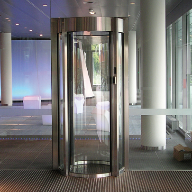 This entrance solution features two modes available via the Tourniket’s control panel, for automatic operation of the door. Day mode is activated via infra-red detectors, providing ease of use and automatic parking of the door. 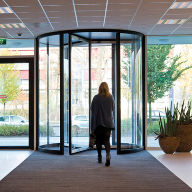 Night mode activates access from an external control system or a push button located internally; the doors begin rotating for 180 degrees to allow one authorised user to enter the building before returning to a stationary position. The entrance formerly featured sliding doors which had made the area dark and unhospitable. 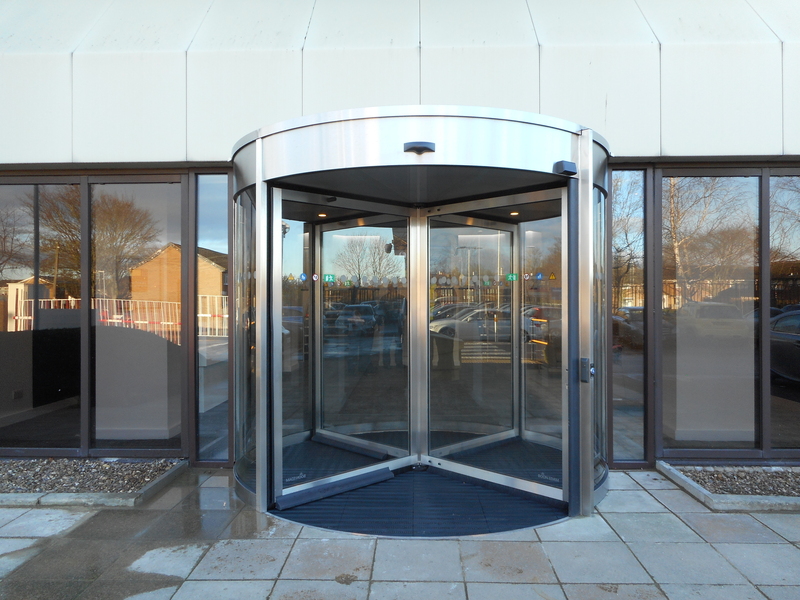 Following the installation of Boon Edam’s Tourniket revolving door in a stainless-steel finish to further enhance the look of the entrance, the reception area was transformed to a light welcoming area. This solution also helps to prevent draft, dust and noise entering the building; as well as reducing the cold in the area, leading to increased building envelope efficiency.